This month, we released new features in Microsoft 365 that help users stay focused in their workflow while delivering richer, more engaging content. Here’s a look at what’s new in November. We’re launching new capabilities in Microsoft 365 to help simplify common tasks in your workflow and save you time. Keep track of to-dos and collaborate with others with new AI features in Word—Now you can more easily focus on your writing when working in Word. When you type a to-do item, like TODO: finish this section or <<insert closing here>>, Word recognizes and tracks them as to-dos. When you come back to the document, you’ll see a list of your remaining to-dos, and you can click each one to navigate back to the right spot. Additionally, when you @mention someone within a to-do, Word emails them a notification with a “deep link” to the relevant place in the document. This new capability is available today in preview for Word on the Mac for Office Insiders, with availability for all Office 365 subscribers coming soon. 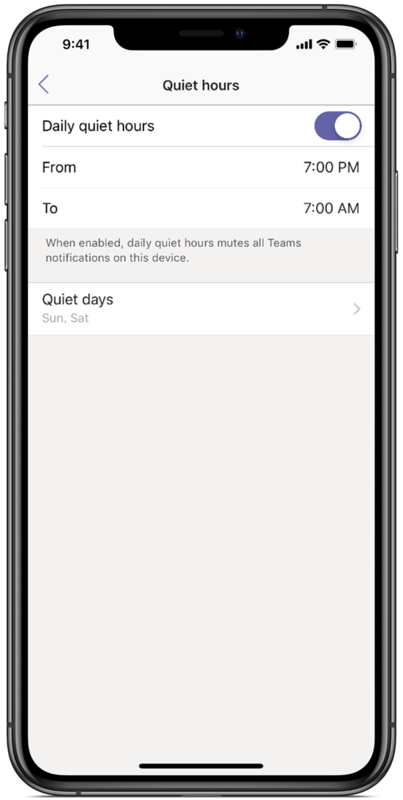 Perform more tasks on the go with new features for Microsoft Teams on iOS and Android—The updated Teams mobile app now empowers you to be more productive on the go with features like the ability to schedule meetings and search for colleagues within your organization’s directory. With Quiet Hours, you can focus on other activities with greater control over push notifications. These features are available now via the Teams mobile app. Manage tasks without breaking your email flow in Outlook on the web—The updated Tasks feature in the new Outlook on the web now lets you create a task by dragging and dropping an email into your Tasks pane or easily schedule a task by dragging it from the Tasks pane to your calendar. Your tasks then travel with you on the To-Do app. The new Tasks pane capability will start rolling out to customers who opt in to the new Outlook on the web in December 2018. More ways to sign in to Outlook on the web—We listened to your feedback about wanting an easier way to sign in to Outlook on the web. Starting in December, users with an Office 365 account who use Outlook on the web can now sign in to their work or school accounts through www.outlook.com. When a user signs in through www.outlook.com, Outlook redirects them to their organization’s sign-in page, which is pre-populated with the email address they entered. From there, they just follow their organization’s sign-in process. 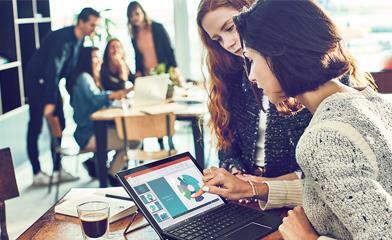 We’re introducing new intelligence capabilities in Microsoft 365 to help users create richer content within PowerPoint. Improve your writing with Editor in PowerPoint—Editor leverages machine learning and natural language processing to provide an intelligent proofing and editing service that delivers recommendations in context. For example, Editor highlights and provides suggestions to fix awkward word choices and incorrect grammar and offers guidance on clarity and conciseness. Editor in PowerPoint will be available to all users with an Office 365 subscription beginning December 2018. Engage your audience with interactive forms and quizzes in PowerPoint—Microsoft Forms is now integrated with PowerPoint for Office 365, providing a seamless way for speakers, trainers, and educators to connect and interact with participants. Now, presenters can get real-time audience feedback via forms and quizzes without asking them to leave PowerPoint. To get started, in PowerPoint under Insert, click the Forms icon to create a new form/quiz or insert one you’ve already created. Today, we unveiled redesigned Office app icons to honor the heritage of Office and welcome in the future. These app icons provide flexible visuals that reflect product changes and the new ways in which people are working. AI features like facial detection to identify speakers in videos, speech-to-text and closed captions, and transcript search and timecodes are now available to all Office 365 Enterprise, Firstline Worker, and Education plans through Microsoft Stream. You can now use Windows Hello or a FIDO2 device to sign in to your Microsoft account on the Edge browser instead of using a username and password. The Office Customization Tool is now available, enabling IT pros to easily customize deployment of Office 365 ProPlus and other Click-to-Run managed Office products using a simple, intuitive, and web-based interface.